From Frank Sinatra to Pachelbel Canon, White Christmas to the Carpenters, we enjoy playing a wide repertoire of swing, classical, showtune, festive, popular and easy listening music from around the world to suit any occasion. Many arranged (and composed) by well-known accordion figures, such as Rudolf Würthner and Adolf Götz, to take advantage of the flexibility and tone of the instrument. Your browser does not allow/support streaming this audio, please click here to listen to one of the tracks. 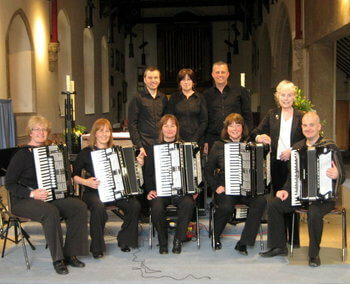 Jenny's Accordionists were first formed in the late 1950's by our teacher and conductor, Jennifer Neal (née Cross), herself an extremely accomplished accordionist. 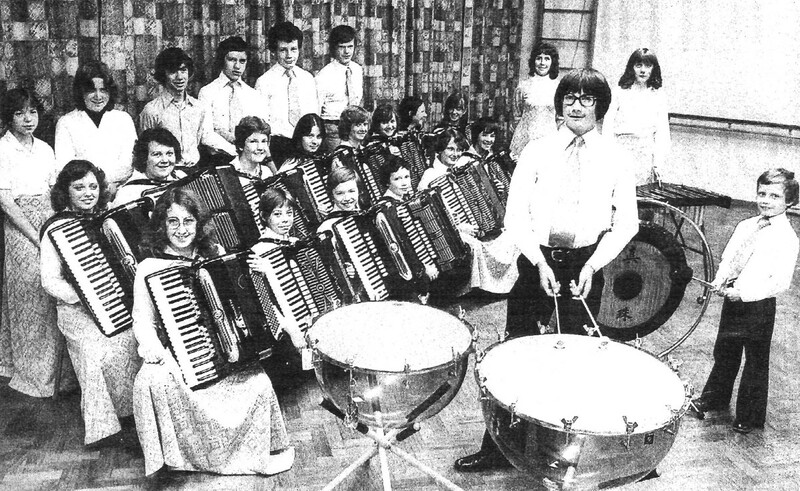 The number of pupils Jennifer taught rapidly expanded over the next 50 years to an extent where there were 5 separate orchestras, each in excess of 25 players ranging in ability from complete beginners to UK Solo and Duet champions. During these times her highest (Art) level orchestra won the UK championships on numerous occasions. There have been many tours of Europe to France, Germany, Austria, Holland and Belgium where her orchestras playing style won many plaudits from other continental Orchestras and Composers alike. Her younger orchestras have played in the Junior Proms at the Albert Hall, on the South Bank and even appeared on Anglia Television. Her highest achievement was 3rd place in the European Accordion championships in Innsbruck, Austria competing against over 50 other orchestras. This led to being asked to perform in the following year's closing gala concert in front of 5,000 in the Innsbruck Olympic Stadium. Sadly Jenny passed away in 2013, but there are a few of us who still meet regularly, continuing to practice her teachings and play the music she loved. 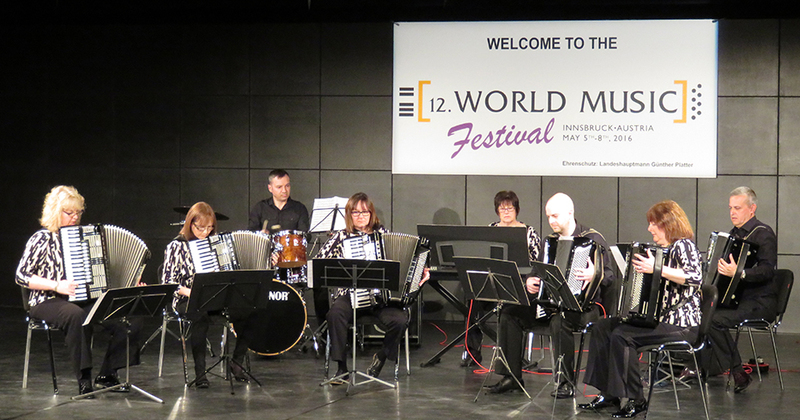 In 2016 we returned to Innsbruck to compete once more at the World Music Festival, our performance earning us first place in the Advanced ensemble category! Your browser does not all/support streaming this video.